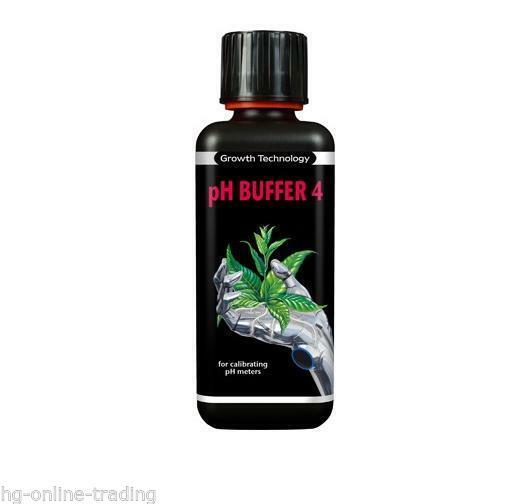 Growth Technologys pH Buffer 4 is used to Calibrate your pH meter every week to ensure maximum accuracy. This should be done on a regular basis and should not be poured back into the container as this will contaminate your new solution. Features CRC Cap for Safety.